How to use Facebook Page for your Business? When you speak about Facebook, it has more than 250 million active users. That shows its popularity among others. It is fastest growing social networking site and has an ability to attract more of your audience. It is a part of social media when you talk about Facebook for your business. Try to reach the audience by getting into a place where you can find them. Facebook’s true reach is more than you expect. Specially when you post a public update from your Facebook profile than Business page. A like or share which you get when you update your status gives the maximum exposure to your profile. 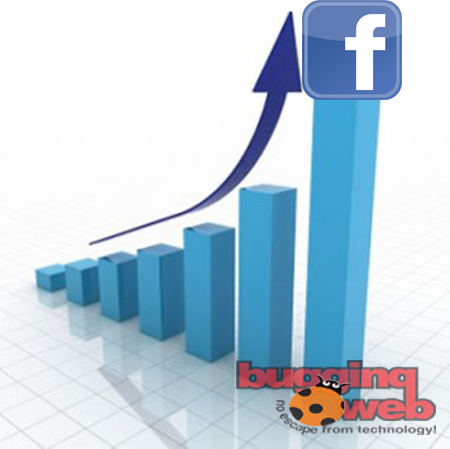 This attracts more of the Facebook users to visit your page and get more traffic from Facebook. The Subscribe option works like a Follow option in Twitter. There may be many users who are more interested to get your updates than being your friend. This is only possible when you do a public post from your Facebook profile. Key factors to be noticed on Facebook Page? Online Viral Marketing – When you start using Facebook, you will definitely notice that online viral are most effective way to promote your business. If you have a good video which tells about what your business or how your product works or which all services you provide, then it will definitely draw Facebook users attention. This can be a simple Graphic Image or can be a Infographic, which gives a detailed view to your product and service. E-Commerce – Internet users mostly prefer purchasing products online as they hardly want to walk into streets to buy a product. Buying your products or using your services online will save their time. Will get to know more about your products by reading reviews and experiences shared by various users. So reach them where they are mostly found. Open up your shop if you are in retail business like using Payvment. Share your case studies if you are providing a services. Customer Support – Getting a bad review or something bad about your services may harm your business. Try to give proper aid and abide by your business policies. Give regular and appropriate response to your customers. You will get to know the activeness of the Facebook page only when your customer gives a genuine feedback about your product. Take customers feedback seriously and try to implement those experiences and ideas in your business. Hire employees – Posting a job for your business actually turns up an interest for your audience. Looking for a candidate by posting a job in Facebook actually works like a viral because if you post the job in any job centric portals it will only give you those candidate who themselves have posted their profile thinking they are good at specific fields. But when you post a job requirement, other users will share this job requirements to their family and friends and you will get few best candidates referred by others. Facebook Applications – This point is not preferable if you are into small business. If you have some tech background or you could hire someone who could help you to build some applications or games relating to business. Then it is a good option for you to get some application which could addict your audience to use it. Offering some virtual gifts for users who has maximum usage of application may keep your application more familiar and active among others.. I do believe all the ideas you have introduced to your post. They’re very convincing and will definitely work. Nonetheless, the posts are too quick for newbies. May you please extend them a little from next time? Thank you for the post. I like the helpful information you supply in your articles. I’ll bookmark your blog and test once more here regularly. I am somewhat certain I will be informed many new stuff proper right here! Best of luck for the next! Sure! will update you with such content.